Hi! 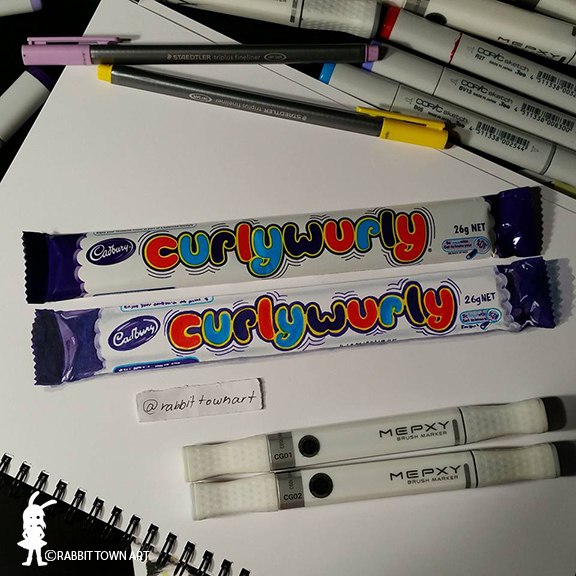 I drew a Curly Wurly bar for practice (and for fun) a few days ago! Here it is in all it's glory! Rob ended up eating the subject after I drew it. Today was a pretty chilled out day. I delivered work to an exhibition I'm participating in "Art Town", did some Urban Sketching and a food doodle on my own and caught up with a friend. Then met up with Rob for some more pop culture shopping and went out for Mexican. A very nice day today. I should get important stuff like taxes and catching up on a ton of social media on my Urban Sketch Tumblr site cos that is a bit dire. Like really dire. Apparently I haven't updated in 9 months! oops. I need to do that tomorrow I think. I have a lot of new sketches to put up too! I was also thinking I might change the set-up to include photos along side the illustrations instead of just posting the illustrations. I am with a sketch group a lot too and I do take shots on location. Not to mention, just sorting out my red bubble stuff. My goodness. 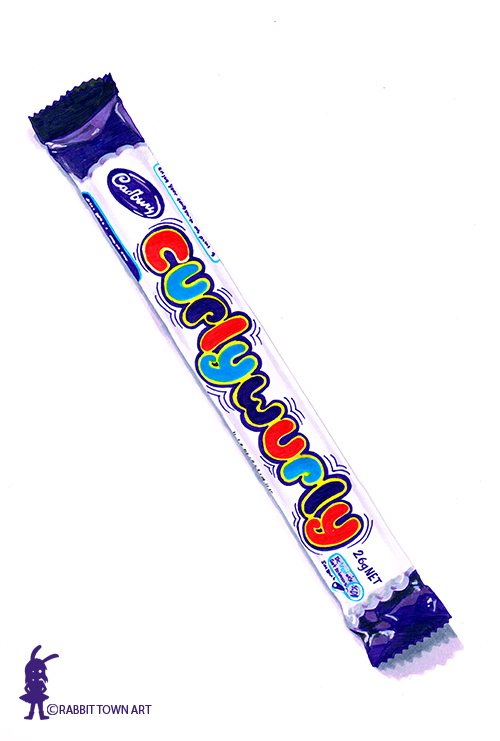 That's even more dire. So hard though, I really just want to draw whatever I want and to read my art books and just chill. Always seems to be more work that needs to be done even if it's not client work. Le sigh. Game 29 Round 09: Chill out coffee time! Game 29 Round 07: Laser! Game 28 Round 08: When your time is up...it's up.